Art Start youth artwork: "Who I Am Inside"
Download the full infographic to learn more about the factors that have contributed to this issue and the work that's being done to reverse it. Mothers on the move / Madres en Movimiento (MOM) is a Community-based social justice organization in the South Bronx mobilizing around issues of educational equity, affordable housing, and community safety. MOM has been a leader in bringing community members together since 1992, to identify priority needs and build successful campaigns that produce qualitative improvements in residents' lives. 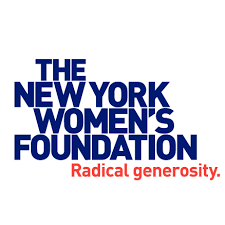 The New York Women’s Foundation is a cross-cultural alliance of women catalyzing partnerships and leveraging human and financial capital to achieve sustained economic security and justice for women and girls. Their initiatives include funding women leaders who are building solutions in their communities along with deepening the awareness of the diverse needs of women, girls, LGBTQ, and gender non-conforming people through impactful research. "With fierce determination, we mobilize hearts, minds and resources to create an equitable and just future for women, families and communities in New York City." 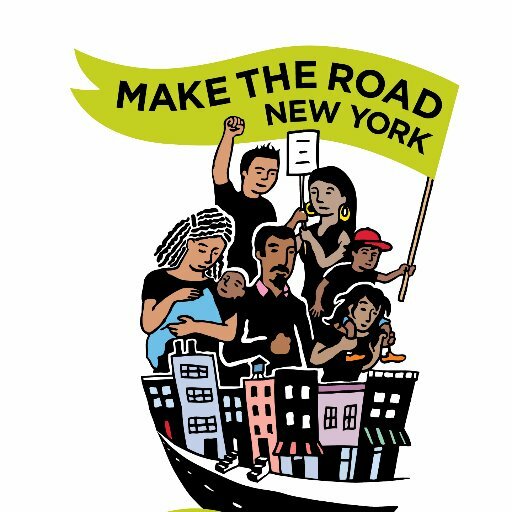 Make the Road New York / Se Hace Camino Nueva York builds the power of immigrant and working class communities to achieve dignity and justice. MRNY has 22,000+ members across New York City, Long Island, and Westchester County who lead multiple organizing committees across the organization's issues and program areas. "Our organization depends on the expertise of our members, and supports them in developing their confidence and competence so that they can truly lead – our organization, our movement, and our society." Safe Horizon was founded in 1978 as a pioneering pilot program in New York City’s court system to support witnesses who had been intimidated or felt too threatened to testify. Today they are the largest victim services organization in the country, touching the lives of more than 250,000 individuals each year. Safe Horizon’s toll-free hotlines are gateways to assistance for tens of thousands of victims each year. "Our mission is to provide support, prevent violence, and promote justice for victims of crime and abuse, their families and communities." Woman in Need has been improving the lives of NYC’s women and children for over 30 years. Win began as a shelter for four homeless women and their combined six children. 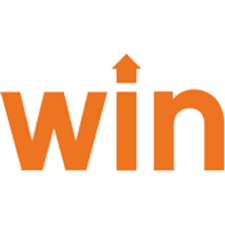 Since then, Win has evolved to become a leading, non-profit agency and the largest provider of shelter for homeless families in New York City. Win has sharpened its focus from offering shelter and support to homeless women and children, to providing comprehensive programs and services that enable homeless families to succeed in life and break the cycle of homelessness. Coalition for the Homeless is the nation’s oldest advocacy and direct service organization helping homeless men, women and children. "We believe that affordable housing, sufficient food and the chance to work for a living wage are fundamental rights in a civilized society. Since our inception in 1981, the Coalition has worked through litigation, public education and direct services to ensure that these goals are realized." 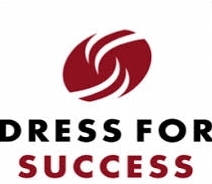 Dress for Success is an international not-for-profit organization that empowers women to achieve economic independence by providing a network of support, professional attire and the development tools to help women thrive in work and in life. Since starting operations in 1997, Dress for Success has expanded to almost 150 cities in 20 countries and has helped more than 850,000 women work towards self-sufficiency. The index sourced data from the U.S. Census Bureau American Community Survey along with various City agencies and other relevant sources. This article provides insight into the experiences of homeless women in New York City. It names the primary causes of family homelessness in New York City as “the housing affordability crisis and domestic violence.” In honor of International Women’s Day, the article suggests various resources the public can use to mitigate the challenges faced by homeless women and spread awareness. This article illustrates the current situation of child care in New York by looking closely at one 24 hour daycare. Due to unusual work schedules and having multiple jobs, parents rely on the ability to pick up children at late hours and visit children at the daycare between shifts. The article reveals how daycare (despite its often heavy expense) become like kinship for single mothers with very busy schedules. This article reflects on Matthew Desmond's book, Evicted: Poverty and Profit in the American City, looking at the ways in which eviction has come to shape the lives of many families in the United States, especially black female-headed families. "For America’s poorest renters — particularly black women — evictions are disturbingly common, trapping them in a cycle of poverty with long-lasting repercussions for their employment, health, relationships and overall stability." Having an eviction on one's record only adds gasoline to the fire as people are often forced to enter into less legitimate agreements with relentless landlords. Although this article focuses on Milwaukee Wisconsin, one can draw many connections between this city and New York City, as displacement has become quite commonplace in this gentrified city. This article looks closer at the impact mass incarceration is having on women. According to the article, "Since 1980, the number of women in prison has grown by 730 percent, twice the rate of the total prison population (363 percent)". The over-punishing of non-violent crimes and accomplice laws are largely to blame for this stark increase. As well, with 1 in 28 children having an incarcerated parent nationwide, in the majority of these cases, the women feel the impact as they are usually left as the sole providers for the family. Check out our previous Putting It In Context campaign on Post Traumatic Stress Disorder.